Happy Monday! Spring is right around the corner which also means Easter is in a few weeks. 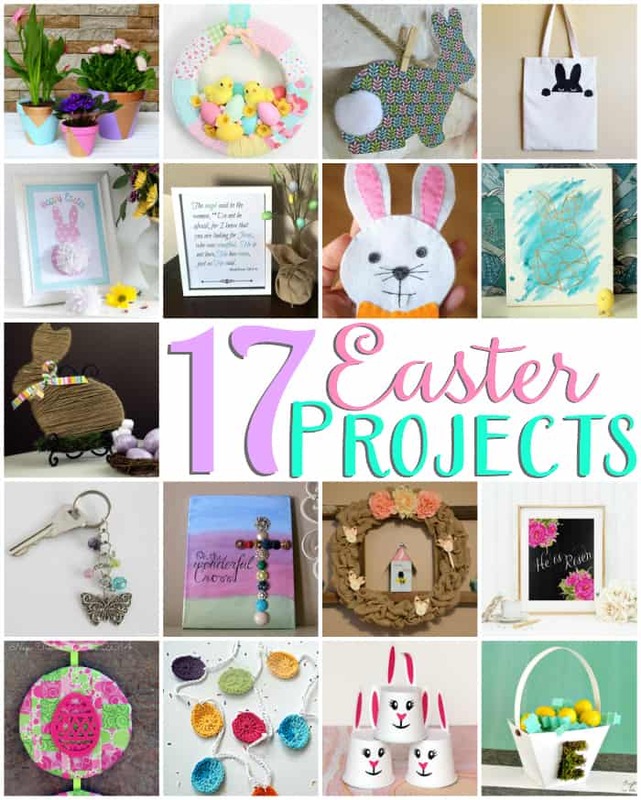 I’ve teamed up with a few fabulous bloggers to bring you 17 Easter projects. 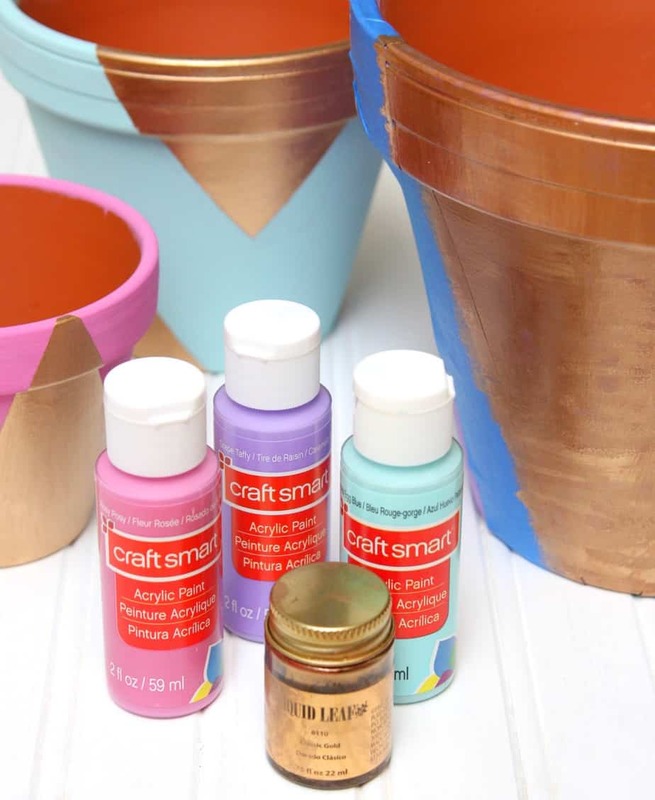 I chose to make a few gorgeous Pastel and Gold Painted Flower Pots. We usually visit a few different family members on Easter and I love taking them pretty flowers as hostess gifts. This year I decided to plant the flowers in pretty painted flower pots. 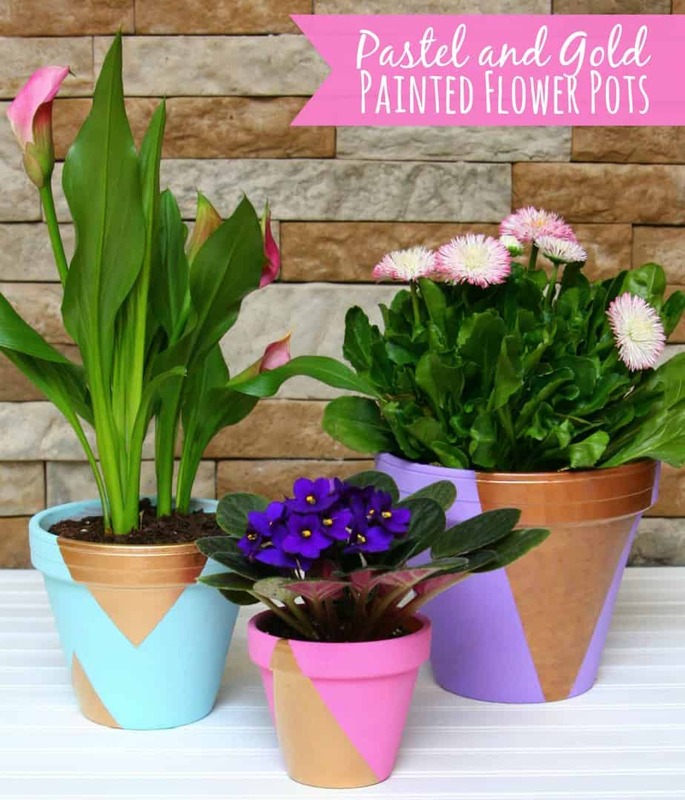 Step 1: Paint your flower pots. Step 2: Once the paint dries, tape off sections of the flower pots and paint those sections gold. Step 3: Plant flowers and admire your gorgeous flower pots. I’m so in love with how these turned out! 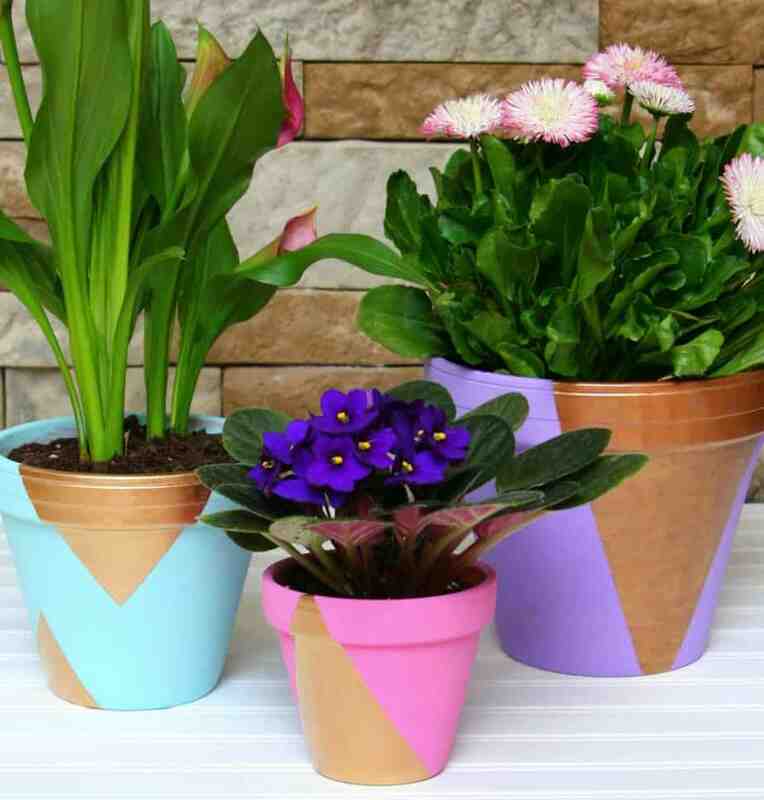 These flowerpots are so fun and colorful….come on spring! Pinned! Marilyn recently posted…Crochet Easter Egg Garland + 16 Additional Easter Projects! These are lovely, great colors and so easy to recreate. These pots turned out soooo pretty! Pinned and scheduled to share on FB. 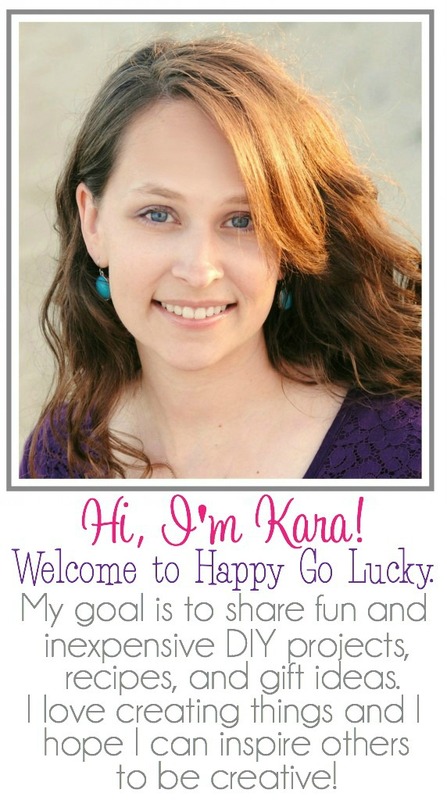 🙂 Thanks so much for being a part of the blog hop. Hugs! These are so cute!! I love the colors you chose. I’m so anxious to get some flowers on my porch. Yay Spring! !